Can’t My AC Repairs Wait? We get asked this question all the time. 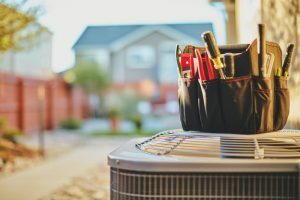 Many homeowners wonder if it’s worth repairing their air conditioners, especially if the system appears to be working normally. However, holding off on much-needed air conditioning repair in Colorado Springs can leave you dealing with a whole slew of other issues, which is definitely not a part of your fun summer plans. If you are hoping to enjoy a comfortable and efficient summer this year, then it is in your best interest to schedule your AC repairs at the first sign of an issue. We can’t stress enough the importance of taking care of problems as they arise, but still, many homeowners are not convinced. So below, we’ve outlined just some of the many reasons as to why your AC repairs definitely can’t wait. Keep reading to find out more. Perhaps the most important reason to schedule your AC repairs at the first sign of an issue is efficiency. A broken component of your system, no matter how small, can cause big problems in terms of efficiency. Any problem that may exist can put immense strain on your system, forcing it to work much harder than it should to perform its job. You can certainly expect to see a rise in your energy costs if you ignore these issues. Of course, you should not have to pay more than you have to on your energy bills, so be sure to schedule your repair services as soon as possible. A broken air conditioner is an unreliable air conditioner. In fact, the longer an issue goes unresolved, the higher the chances are of a full system breakdown. Of course, this is the last thing that you would want to deal with during the summer when temperatures are sky-high. By scheduling your repairs as soon as possible, you can have peace of mind knowing that your system is equipped to keep you cool and comfortable all summer long. Of course, a faulty air conditioner is going to leave you and your family quite uncomfortable. You deserve to be comfortable in your own home, therefore, it is important to schedule your repairs right away. As a homeowner, you are likely always looking for ways to save money. Sure, it may seem as though holding off on repairs is a good way to save at the moment, however, the problem is only going to get worse, therefore costing you more in the long run. It is important that you hire a professional for all your AC repairs. Yes, there are plenty of amateurs who are willing to service your system, but sometimes an attempt to save money can end up costing you more. Only a professional has the knowledge, skills, training, and experience to handle complex air conditioning repairs. To schedule your air conditioning repairs this summer, contact Robbins Heating & Air Conditioning. © 2014–2019 Robbins Heating & Air Conditioning. All rights reserved.